I became a shearer by accident. And yet I cannot imagine a better job, more satisfying and more suited to my temperament and interests. This leads me to believe that some divine force must have been at work when I decided, all those years ago, to go to shearing school … my education and upbringing point definitely to an indoor — office or classroom-based — career. Some shearers come from families who maintain the shearing tradition across generations; others, like me, get bitten by the bug later in life and cause great puzzlement to our families and friends. Shearing a Karakul ram who had not been shorn in many years – the fleece was as hard as wood and stuck to the skin! Shearing is a hard job. Actually, it is a really hard job. It is also quite a different job depending on your location, what types of animals you shear, and what market you shear for. But whether you are working in the sheds in New Zealand shearing hundreds of sheep each day, making your way across the western ranges of the United States, or you are traveling from small farm to small farm shearing hobby farm or fiber flocks like I do, the demand for shearers is extremely high and there is often a certain urgency to it, as it’s weather- and season-dependent. I can only speak knowledgeably about “east coast shearing” which is its own peculiar beast. 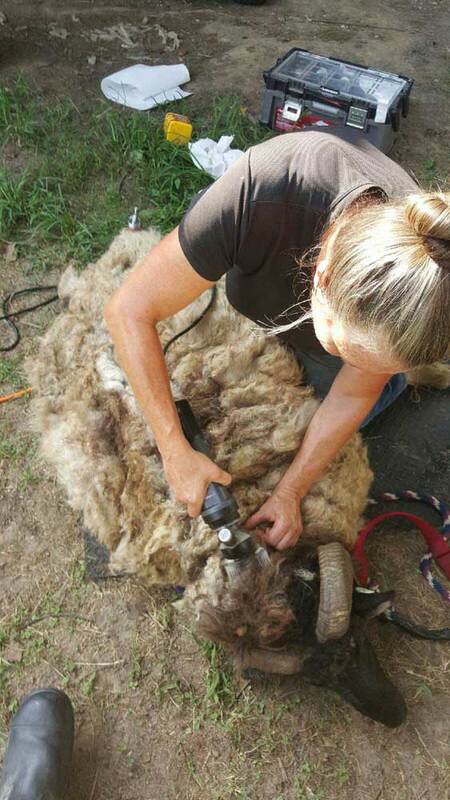 Rather than setting up camp at a large sheep station with a week’s worth of work to do, we east coasters may be shearing at 5-10 farms in any given day. So there is a lot of travel and a great deal of variety. Our primary major shearing season is spring – but anyone familiar with the vagaries of mid-Atlantic weather will know that “spring” is a relative term. Sometimes we get approximately 1 week of mild weather between beastly cold weather and steaming hot temperatures. It’s really weird to be SO popular for a short period of time every year. I often return home from a long day to find a dozen voice mail messages, several text messages, half a dozen emails, and one or two Facebook messages all urgently requesting shearing. Tomorrow, preferably. Or “how about this Saturday at 2pm?” These requests are in addition to the regular customers who kindly responded to my scheduling request back in January, and these Johnny-come-latelies somehow have to be squeezed into a schedule that has been set up for months. It’s nice to be wanted, but it’s overwhelming at a certain point. And then … it’s over. And no one calls us until the next round <sob>. Ask any shearer about scheduling and you will see them roll their eyes and heave a great sigh. Why, you ask, the attitude? If you look at it like an engineer or computer programmer (my former, not so favorite profession), you’ll see that there are just a lot of parameters to put into the equation. Organizing several hundred farms in half a dozen states to receive you and your crew for shearing so that the animals are not left naked in the cold, or the shearers pass out from heat stroke, so that you don’t have to backtrack hundreds of miles to pick up the one or two farms who didn’t get on the schedule or had conflicts or had wet animals, so that your old faithful customers are treated with respect as you try to work in all the newcomers – it’s hard on the brain! First, there is timing. To play it safe, everyone pretty much wants their animals shorn in May. On a weekend. Second, there is rain. Spring brings rain. Some farms don’t have indoor space sufficient to keep their animals out of the rain, so a wet day can overturn an entire trip and require communication with a dozen or more farms about rain dates (of which, let’s be honest here, there are really none because you’re already scheduled up to your eyeballs). Third, there is the plethora of modern communication methods. Some people text and some people email, and others only have land line phones with no email or text, and some like to send messages via Facebook. And folks get pretty upset when it’s spring and their animals are hairy and they don’t hear back from us within a few hours. The problem is, since it’s spring, we are out shearing and not looking at our phones or computers! I have to confess that I dread the next invention for communication, whatever that may be. Fourth, there is the impossibility of the math. Take the total number of animals who need shearing, divide by the number of available shearers (which vacillates wildly from year to year), and then divide that number by of available “spring” days. I’m not sure what the actual numbers would be, but I’m guessing the result would have each of us shearing 16 hours a day, 7 days a week. Oh, wait – that’s what we do already! Finally, there is the wide variety in setup at farms. Some farms are wonderfully organized – animals are haltered and in the barn, clean, empty of food, and ready to go The barn is clean and swept, extension cords are set up, bags are labelled, and all we need to do is our job. WE LOVE THOSE FARMS! Hélas, at other farms, we need to catch and halter the animals, set up electricity (at quite a few farms I’ve had farmers exclaim in surprise, “oh, you need electricity” after which ensues a great scramble to find a working outlet and extension cords), clean up the shearing area, collect and sort the fiber, and even provide the bags (we will grumble about this, however, as our job is to shear – just shear. And beware, some shearers will charge extra for anything done beyond shearing.). Everyone is different, every farm is different. We have to accommodate and be flexible and cheerful. So what does my shearer’s world look like on an average sunny day in May? 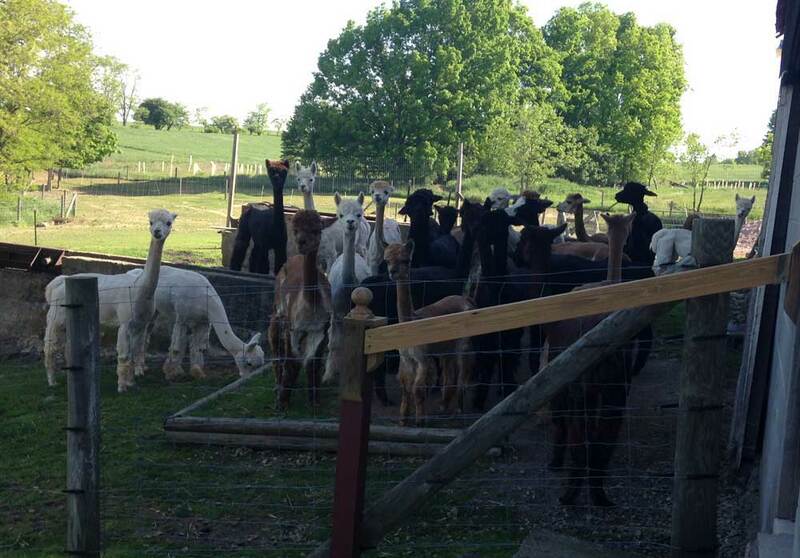 A gaggle of naked and happy alpaca girls in Maryland. I’ll leave the house between 6 and 7 am, pick up my helper, and then drive to our destination: perhaps Virginia, Southern Maryland, West Virginia, up towards Baltimore county or out to Western Maryland. There is a lot of driving. I find it helps to pass the time to listen to books on tape – my favorites are mysteries. I will likely have several farms scheduled in one day, depending on the size of the flocks; I may shear sheep, goats, alpacas, llamas, and even ponies or donkeys. 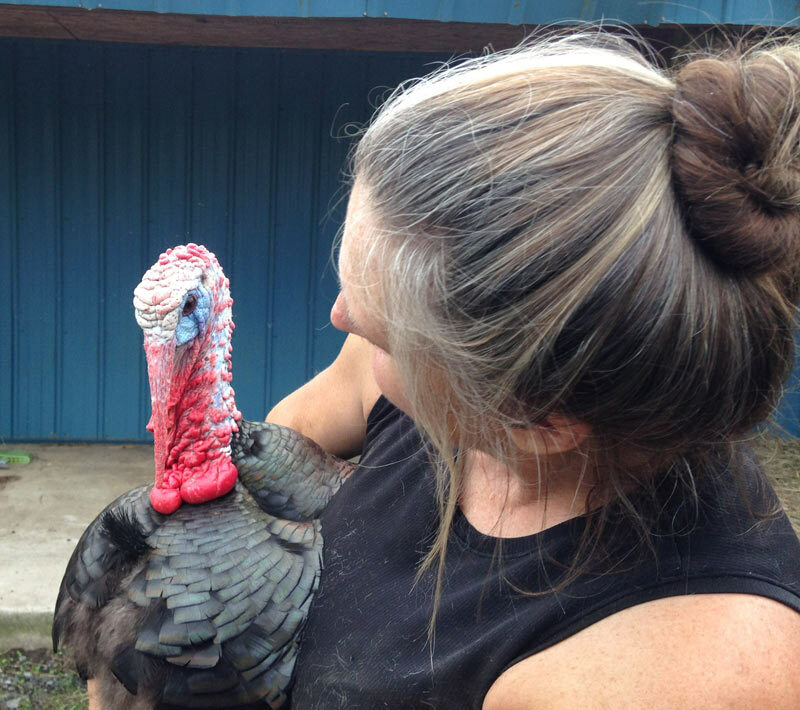 Generally I am not a “production” shearer; I do some mid-sized flocks (50-100); but most of my clients want and expect personalized treatment of their animals. What that also means, then, is that I don’t buzz in and out of your farm with a minimum of “hello, where’s the barn?” No! This is our annual visit! It’s a chance to catch up on news (animal or personal), talk about fiber, barns, husbandry issues, and, the all time favorite of all farmers – manure! The relationship between shearer and farmer is a really special one, and it’s a major reason the job is so enjoyable. I get to meet all kinds of friendly creatures. I don’t imagine that a shearer would last long in the profession if s/he didn’t really like animals. For me, getting to work around animals all day long is akin to being let loose in a candy store. A good day is one that ends before sundown; we’ve done many jobs, however, by the light of car headlights, band lights, headlamps, barn lights, or the moon. Sometimes we are lucky enough to stay over at a farm, and sometimes we come home for the night; most days in the height of shearing season end around 10-11 pm. 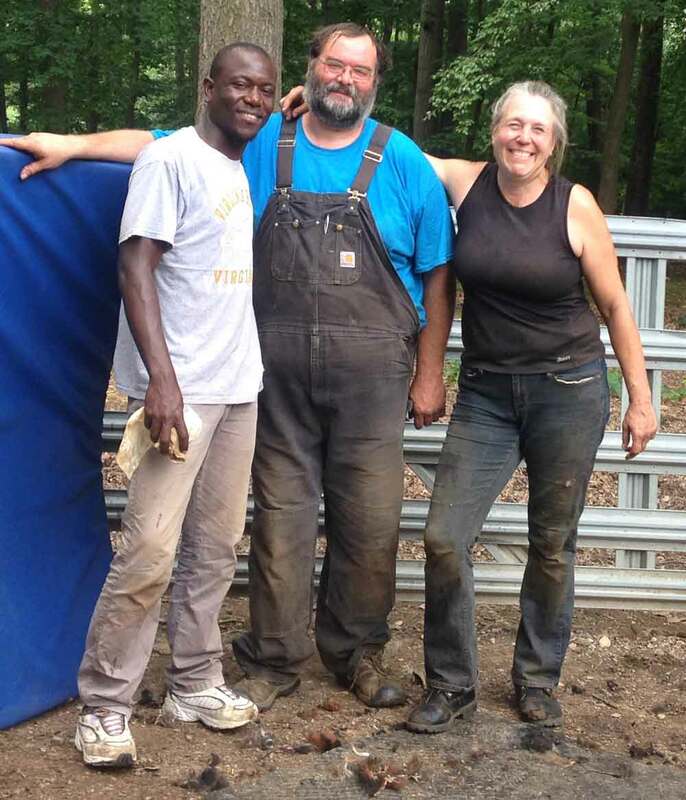 Because I run my own farm I usually hire a farm sitter so I am freed from evening chores; nevertheless, when I get home there are dogs and goats to greet, and a gazillion voicemails and emails from new farms requesting shearing. It’s hard to return phone calls in the middle of the night, too. It’s a bit stressful when I know I cannot get to some farms until the weather is warmer – I worry about the animals, and occasionally people get angry at me for not bumping them to the front of the schedule. So that is hard. Nevertheless, the constant stream of incoming requests is exciting – I know that there are more adventures to come, new and cool animals and farmers to meet, and new roads to travel. With my assistant Roland and expert shearer Matt Best. While I am a bit of a social media skeptic, I have nevertheless been much heartened by communications amongst shearers on facebook – sharing experiences, expertise, photos, jokes, and just being able to vent once in a while has made me feel part of a special group of people. For there are not many shearers in the world – perhaps a few thousand? It is highly specialized and requires a high level of training, expensive equipment, and a sort of stubborn thuggery and independence of spirit, I think. I have great regard for my fellow shearers and while I will never be one to compete for first place as so many of my compatriots do (and win! ), I am grateful to be on that path of always striving to improve my craft and helping animals at the same time. There is really no other job like it! Great article Ann. Someday I might have a webpage but for now I am happy getting by the way I am. I don’t find much time for keeping one up right now. I am scheduling fall shear ok ng now. Agreed on so many levels. Folks ,I think, really can’t comprehend what it’s like to be on the road 7 days a week for 4 months. The tolls are physical, emotional & mental. Living with my helpers 24 /7. And they , maybe having not been away from home for more than a weekend. I’ve been compared to being harder than Boot Camp.! Preach on Sister of the Shearers.! Do you shear in Northern Ohio? I have 30 fiber sheep,1 llama. Wow! I couldn’t have said it better! This is my favorite thing that I have ever done and it is very taxing on the body. Only a shearer would truly understand. Thank you for helping to give “others” insight to what we do and why we do it. ← What to do with your fiber?